...and now your trying to show me your sobbing face! do you everything will fall into place if you rain tears over them? your sitting alone inside your room thinking how difficult life has been. so weep then if you must but don't except the world to grieve with you. if that numb mind of yours just had the presence to make a stand and pose a strong objection to whatever your mother forced you to do thousands of years ago, better things could have come and you would not be blaming the world of your misery. you knew right then and there that trekking the path that your mother is leading you would end up somewhere in the desert of unhappiness. yes, things have been hard. but why blame others!? 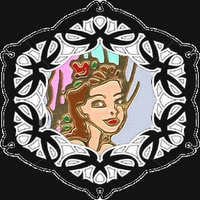 fairygodflower says: friends, the princess has been and will be ironing out some issues. her work has been fine but apparently it was not the job that she's want to sped for several years. her TIN issue is still not resolved and more bridges has to be crossed. we are afraid that it may affect the contents and theme of this blog so a blog leave is deemed necessary. we hope these things will be done before the holidays. bitchywitch says: don't worry girls, naitago na namin ang lahat ng kutsilyo, blade, racumin, baygon, lubid at iba pa. baka may palya sa mga plano...chos! kaya natin toh!!! bitchywitch says: aaay pusang naglalandi!!! A cat is an example of sophistication minus civilization. fairygodflower says: pansamantala po naming pinuputol ang inyong pagbabasa. newsflash po mga kapatid, nawawala at nagwawala po ang baklang prinsesa dito sa buong syudad. kaya nananawagan lang po kami, balingkinitan po ang baklang ito at walang suot sa katawan. siya po ay kadalasang nagsasalita ng mag-isa na sinasabi ang "alms, alms, alms. spare a piece of bread, spare me your mercy". kung may nakita po kayong baklitang palaboy-laboy at nanghihingi ng limus, ipagbigay alam agad sa pinakamalapit na istasyon ng pulis o sa dswd. bitchywitch says: ayan... kawawa naman. sige kanatahan na lang natin ng hapi bertdi.